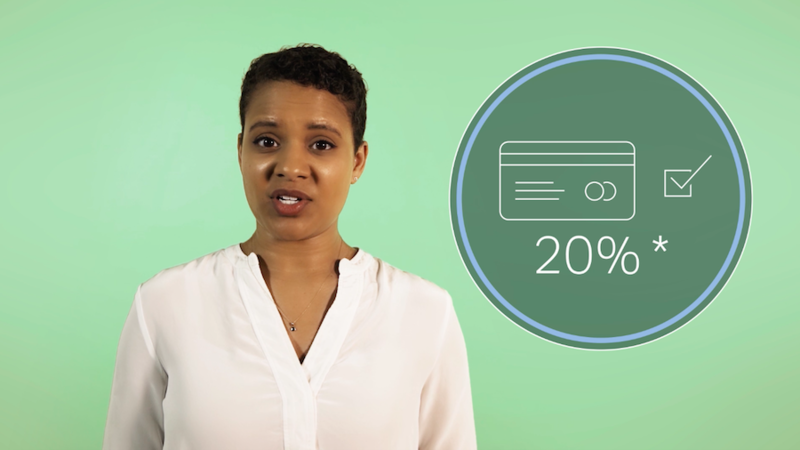 Learn more about low interest credit cards and whether they're right for you. Low interest credit cards offer a low rate of interest over a long (usually fixed) period of time. APR on low interest credit cards can be as low as 6.4%*. Usually when credit cards offer a low or 0% interest rate this only lasts for a set promotional period. After that, the interest rate will go up to a standard rate. With low interest credit cards, the rate is usually set for the lifetime of the card. Short on time? Skip to the end for a quick video summarising this article. What are the advantages of a low interest credit card? If you have a large balance you want to pay off, a 0% balance transfer card could be of more use to you, as it will give you the opportunity to start pay off your balance, not just the interest. If you’re accepted for a low interest card, you may not automatically qualify for the advertised rate (often shown as 'Representative APR)'. Many lenders will assess your individual circumstances when you apply and will offer the lowest rates to those with better credit ratings. Read the paperwork carefully so you’re not caught out. Try to avoid using a low interest card for taking out cash. The low interest is usually only for purchases, not cash advances. How likely am I to be approved? This will depend on your credit report and the lender’s individual criteria. You can find out your eligibility rating for various different credit products in the 'Offers' section of your ClearScore account. If your credit score is too low at present to qualify you for a low interest card, don’t give up. You just have to play a slightly longer game – look at our 10 steps to a great credit score article for small changes you can make to improve your score. Wouldn’t it be great to put everything on your credit card without having to worry about interest? Of course, it would. So what’s the catch? According to the Financial Standards Authority 41% of people don't fully understand how balance transfer cards work. So let us try and explain them. With hundreds of credit cards to choose from, read some top tips to help you pick the right credit card to suit your circumstances.